Build Institute, a strategic program of Downtown Detroit Partnership,is excited to announce a holiday shop local initiative highlighting local small businesses and entrepreneurs with five events. The rotating pop-up marketplaces will celebrate emerging entrepreneurs from Detroit in both November and December. All Things Detroit, the first Build Bazaar of the holiday season took place on Sunday, Nov. 1. For all Build Bazaar information,visit the Build Institute website here. Each Bazaar will feature a diverse range of local vendors from artisanal candles and soap, to fresh baked goods and handmade merchandise. 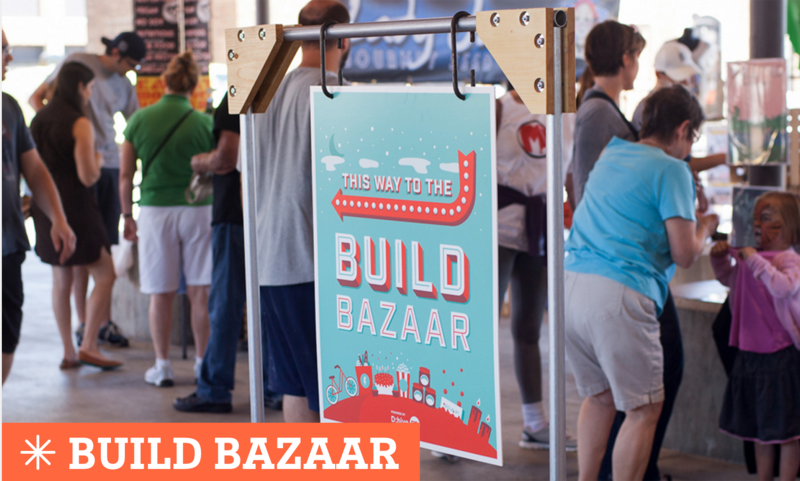 Build Bazaars include graduates from the Build program as well as other Detroit vendors. Build Institute strategically partners with other organizations, events or venues for Build Bazaar marketplaces. By shopping at any of the Bazaars, customers are supporting the small business economy in Detroit. Build provides a supportive and effective learning environment dedicated to meeting the needs of aspiring and experienced entrepreneurs and small businesses. With over 600 alumni and countless thriving businesses in Detroit, the Build community is rich with diversity, providing a wide array of resources and connections. We aim to foster the entrepreneurial dreams of all people in the city, as well as promote collaborations among all members of Detroit’s business ecosystem.